Let’s look at what information we’ll need to get your order started! 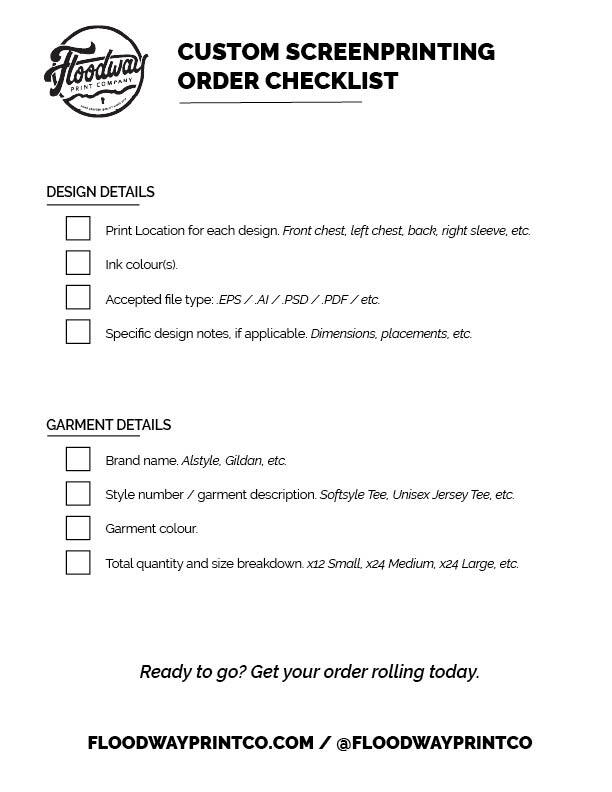 We made a neat little checklist of the most important information to help your order zoom through the process. As you move through this list, please keep in mind that we don’t need all of these details right away. Once you request your quote, the rest of the details can be ironed out with a member of our team.